It can be an alarming experience to find a bump or lump anywhere on the body. And if you’re dealing with a sore jaw from TMD, you may find a bump or lump under the jaw bone if you’re pressing or massaging the area. 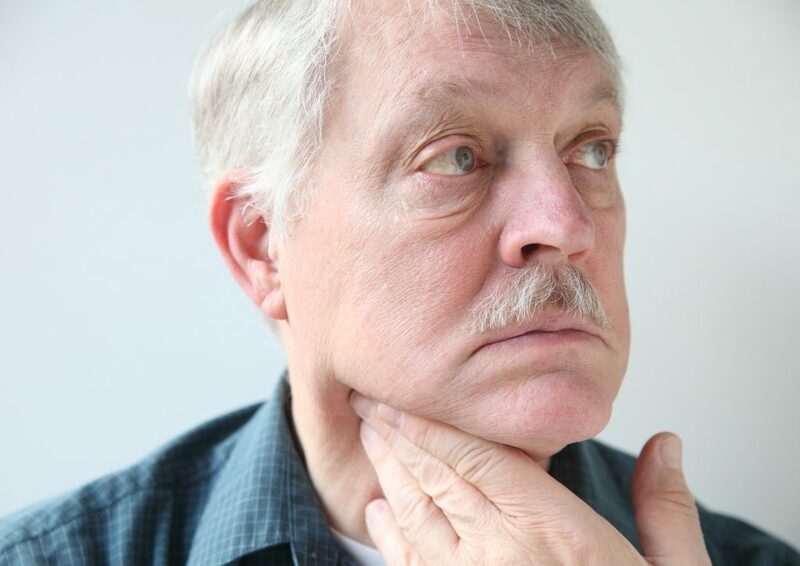 Fortunately, bumps and lumps under the jaw or in the neck area are usually not serious. Here are the most common causes and what you should do about them. The neck hosts a number of lymph nodes, which are an important part of the body’s immune system. Lymph nodes are found in the front, sides, and back of the neck. Usually, you can’t see or feel them. Some common infections and illnesses can cause them to swell and become tender. Enlarged lymph nodes are usually a sign that the body is fighting an illness. See a doctor to determine why they are swollen and to get treated for the illness if needed. A number of salivary glands are located under the tongue, in the cheeks, and in the floor of the mouth. If a gland becomes blocked, salivary stones may form or the gland may become infected. These can both result in a painful lump in the area of the affected gland. In addition, certain viral or bacterial infections can affect the glands, causing swelling and inflammation. Cysts and tumors may also develop in the salivary glands. Most of these tumors are not cancerous. But, any pain or swelling in the salivary glands needs medical evaluation. A cyst is a sac filled with fluid or air. Most of the time, they are not serious and do not cause cancer. Cysts under the jaw are often sebaceous cysts. These can run in families and are typically not painful. But, if the cyst becomes infected, it can become tender, red, or swollen. See a doctor to determine whether you have a sebaceous cyst and find out if removing it is an option. Of course, any lump or bump could potentially be a tumor that is cancerous. Most of the time, lumps and bumps under the jaw are not cancer. Nonetheless, it’s important to see a doctor to ensure the problem is nothing serious. Does TMD Cause Bumps Under the Jaw? Sometimes, tension in the muscles of the jaw or face can form tight bands of muscle tissue, which may feel like a lump or bump under the jaw. Tension in the muscles may even affect salivary glands or restrict lymph flow. Usually however, TMD does not cause the above listed bumps. However, the problems associated with bumps under the jaw can certainly make TMD symptoms worse. Any kind of infection or illness can exacerbate headaches, ear aches, and jaw pain. And swollen glands or cysts can press on the already sensitive jaw area, leading to more TMD pain. The bottom line is, any bump or lump under the jaw bone should be evaluated by a medical provider. Illnesses, cysts, and glandular issues often need treatment. And to help avoid jaw pain, work with the team at MedCenter TMJ to get jaw pain and other TMD symptoms under control. Are TMJ problems like pain and inflammation getting in the way of your life? Find out how you can overcome these problems and get back to the life you want. Contact MedCenter TMJ today! This entry was posted in Your Health and TMD. Bookmark the permalink.